Visit us in Prague or Brno Impact Hub and learn more about DEXIC Accelerator! 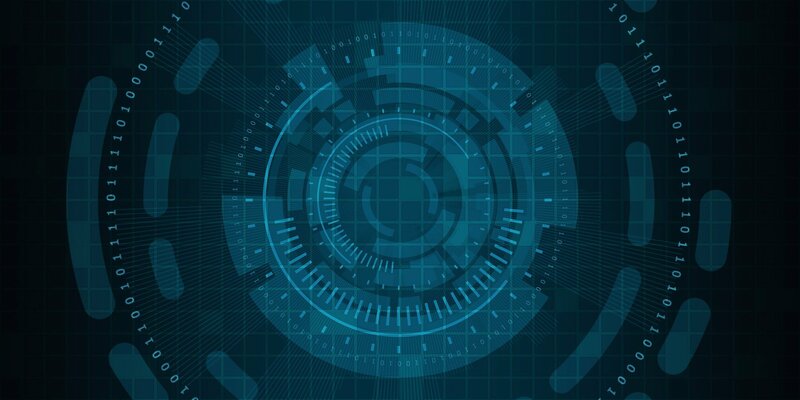 Do you work on impactful digital innovation startup? Do you have at least a minimum viable product? Do you want to accelerate your growth? 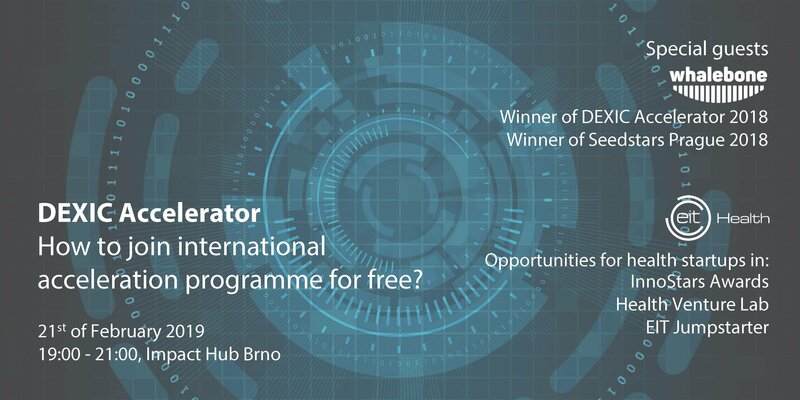 Then come and visit us at the roadshow meetup in Prague or Brno, where we will tell you more how you can join the international acceleration startup programme for free. 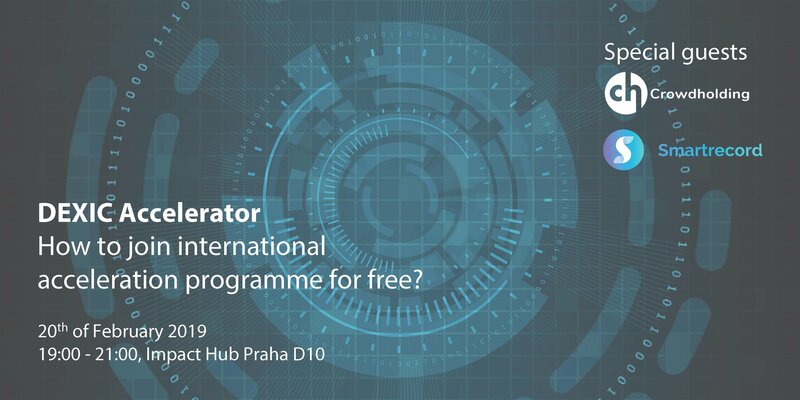 We are looking forward to seeing you on meetups organized in Prague Impact Hub D10 on the 20th of February from 7 to 9 pm or in Brno Impact Hub on 21st of February, 7 to 9 pm as well! Come and get informed about the DEXIC Accelerator programme and learn how your startup can benefit from the participation. You will also meet our special guests and our alumni startups - Crowdholding and SmartRecord in Prague. In Brno, you can meet and chat with the winner of DEXIC Accelerator 2018, winner of Seedstars Prague 2018 - Whalebone. The second guest is EIT Health presenting three programmes for health startups - InnoStars Awards, Health Venture Lab and EIT Jumpstarter. During both meetups, our alumni startups are going to tell you their insights from participating in the programme last year, their story and further plans. Plus you can ask us anything you want about the programme, grab a beer and network too. We will be happy to see you. The deadline for the programme applications is 28.2. at www.dex-ic.com/startups.